Versatile, lightweight manufactured stones for interior and exterior applications, both residential and commercial. Even landscaping! Stone can be applied over any structurally sound surface including: wood siding, brick, concrete block, drywall and subflooring. 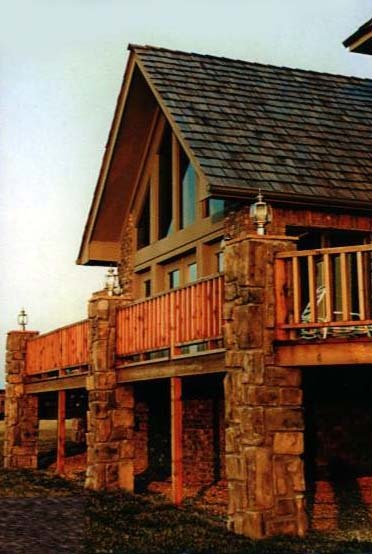 No footing or foundation is required to install manufactured stone inside or outside. Our manufactured stone is fire resistant, weighs about half the weight of other stone and requires less labor to install. Colors may be custom blended for the customer. Manufactured Stone-type installations have been in place for over 50 years. See the samples below. Click the images to enlarge them.